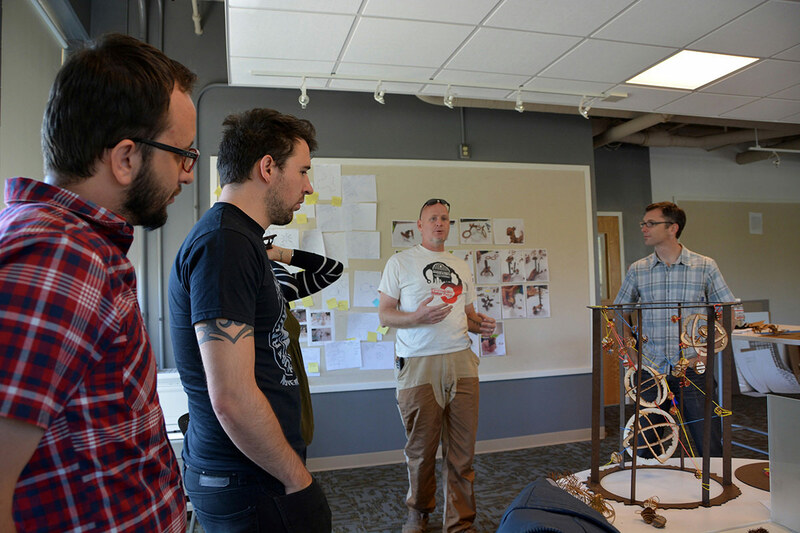 Designer, Artist, Technologist—Richard Elaver inspires xdMFA students to develop modular systems. 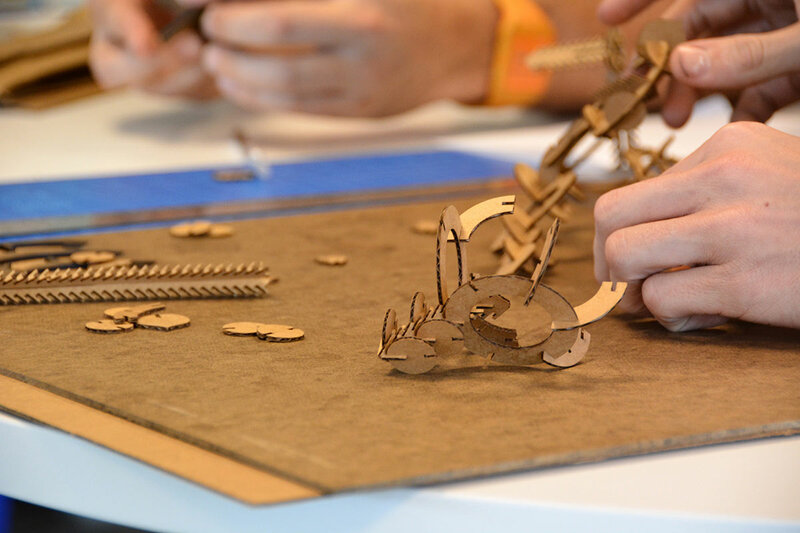 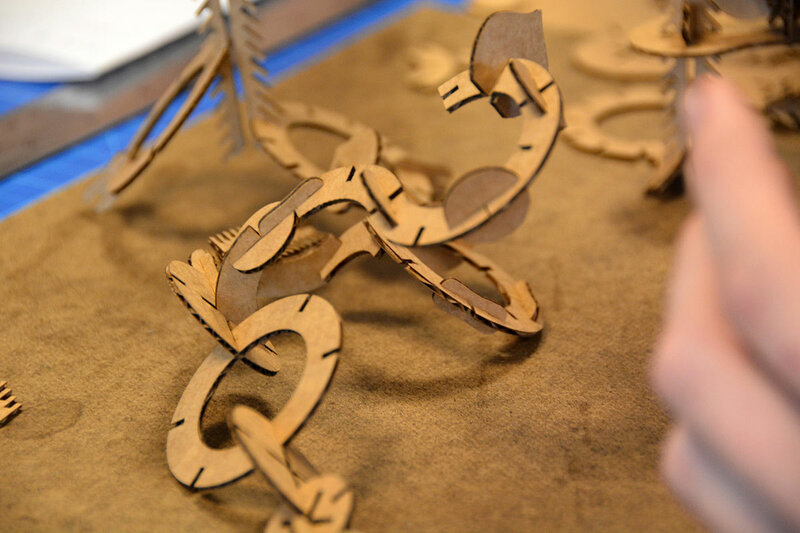 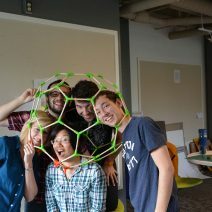 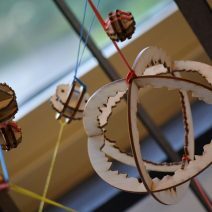 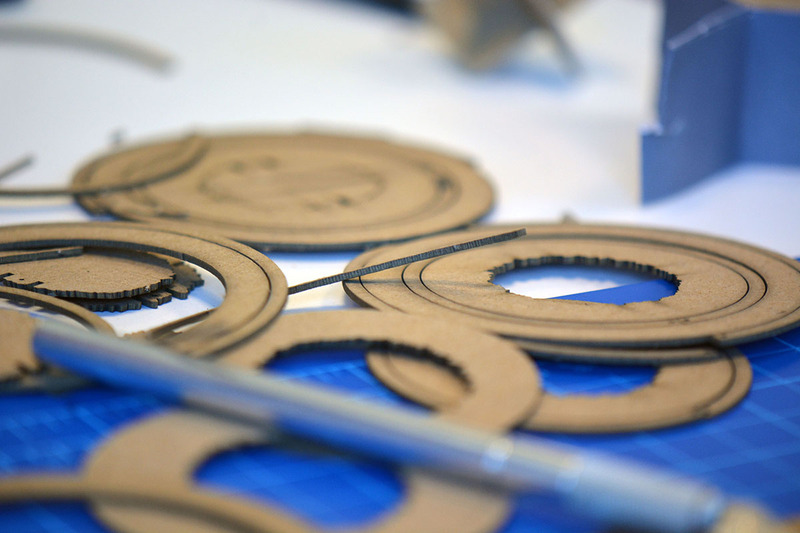 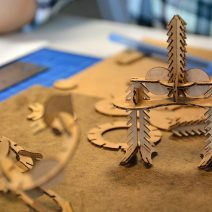 Industrial designer Richard Elaver led the xdMFA students in a weekend-long Modular Workshop. 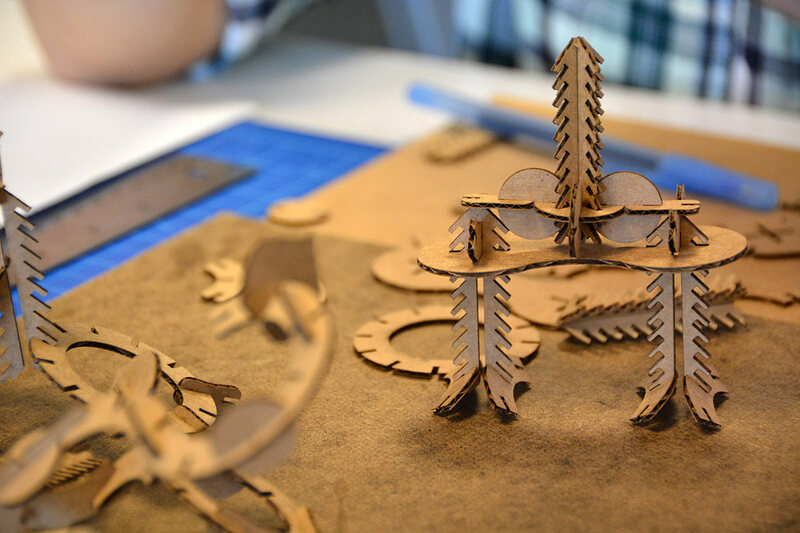 Students from Graphic Design, Architecture and Sculpture joined with the xdMFA program to learn what it takes to build an effective modular system. 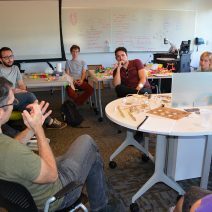 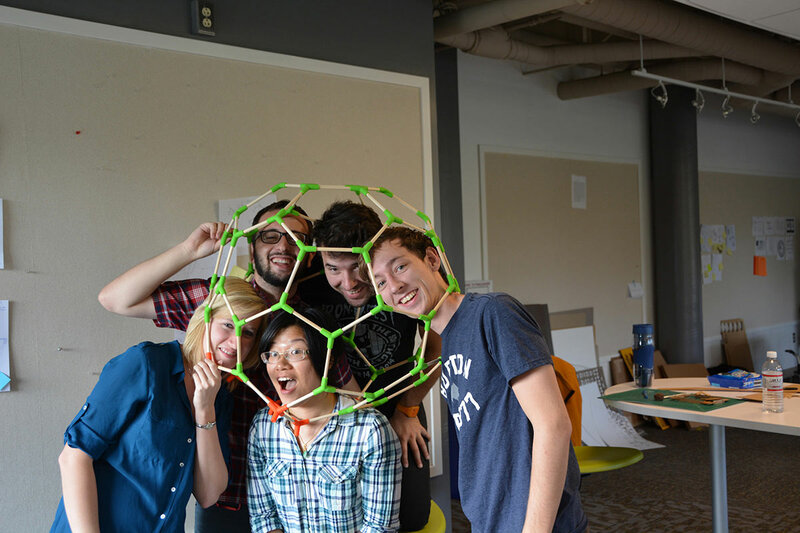 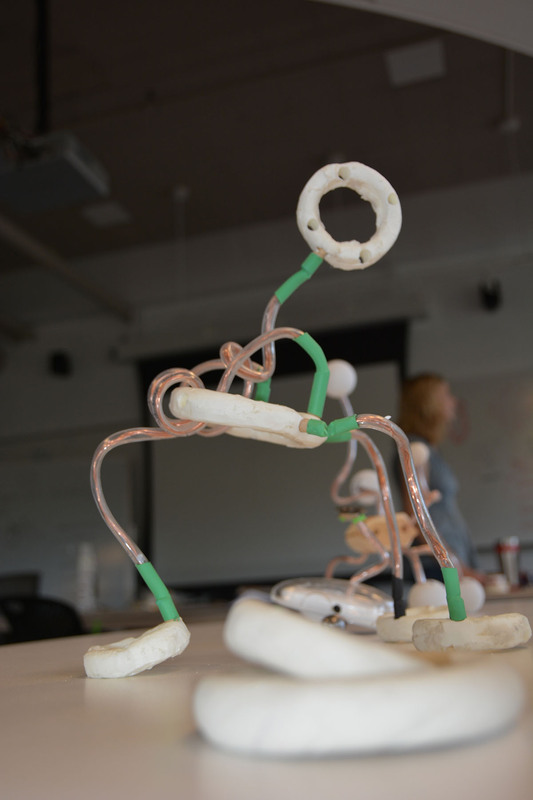 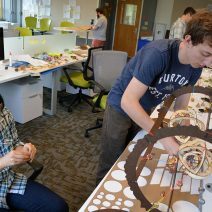 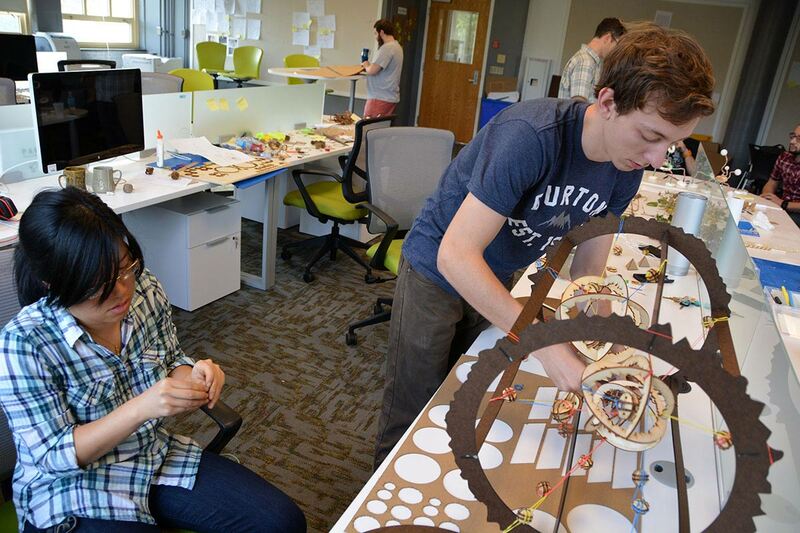 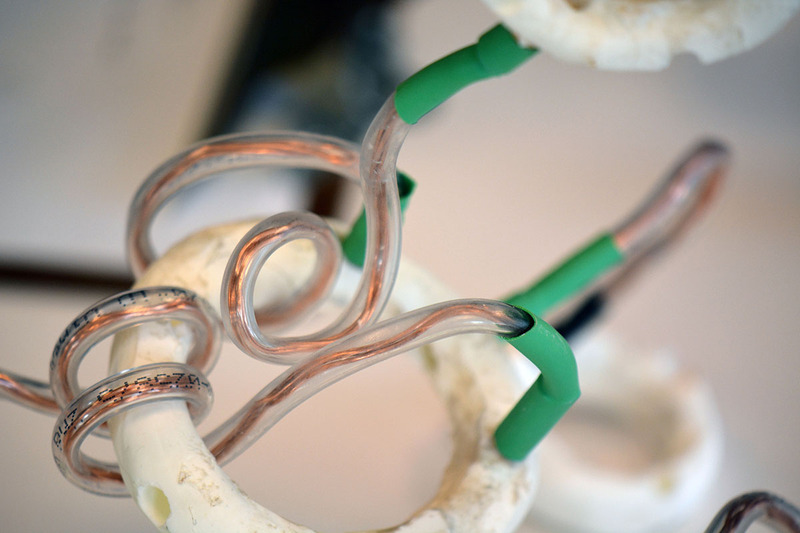 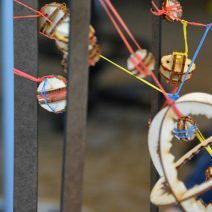 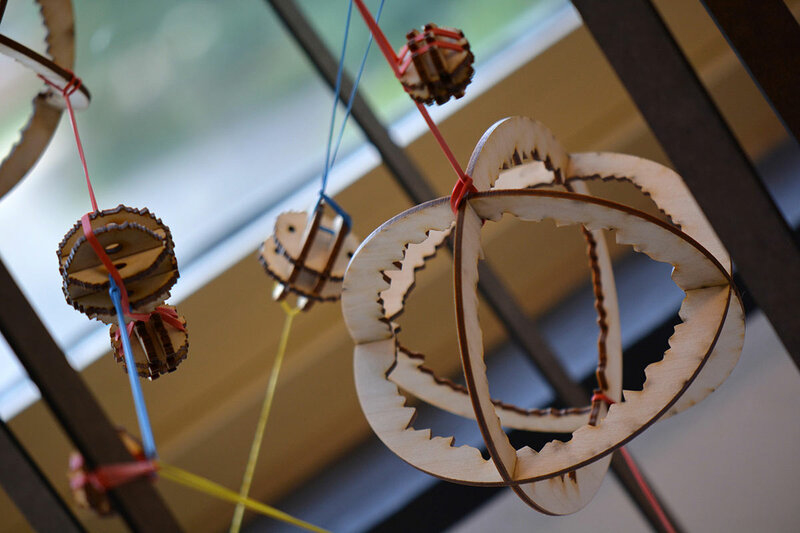 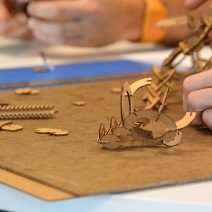 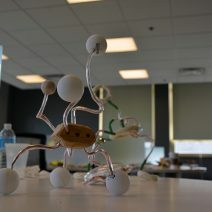 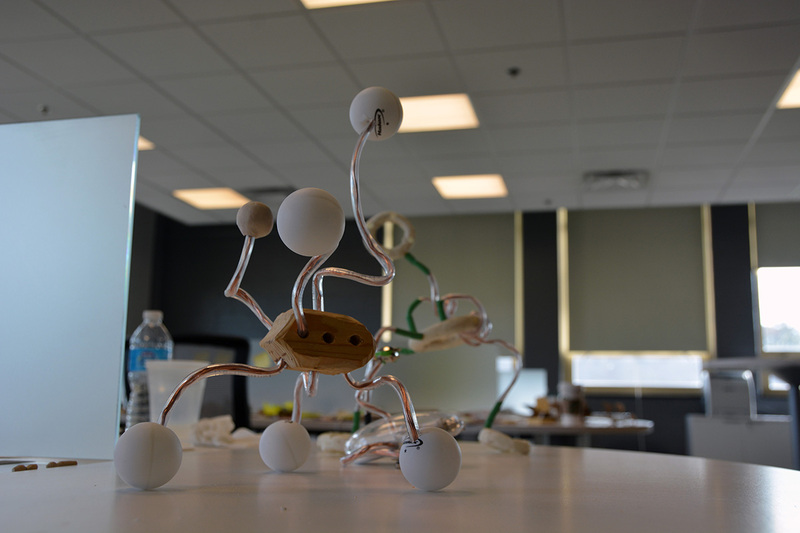 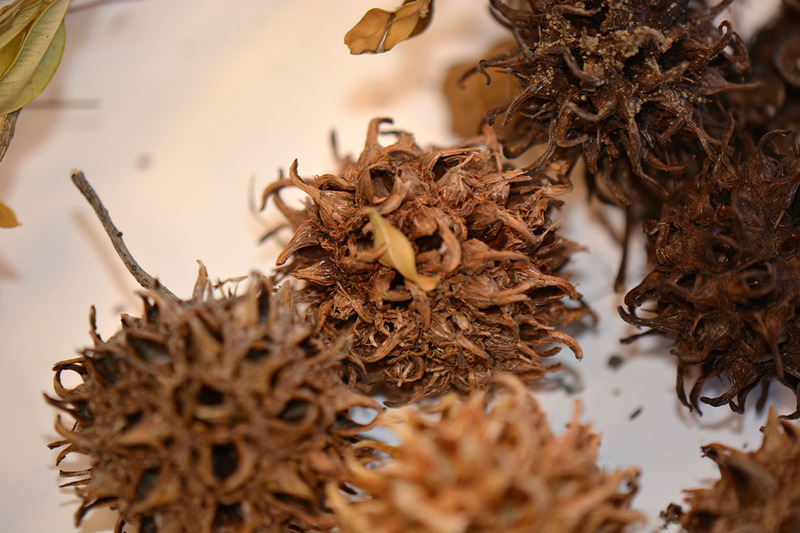 In a 48 hour period, the students shifted rapidly from sketches to prototyping. 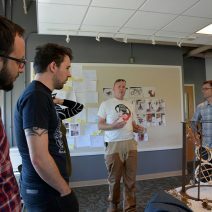 They examined organic and mechanical connections, as they considered both the form and overarching narrative of the modules that they produced. 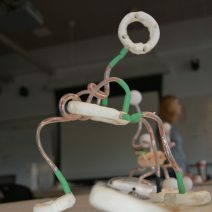 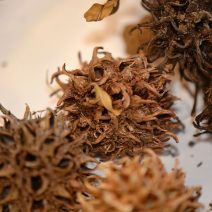 Next week the xdMFA students will engage with part two of the workshop. 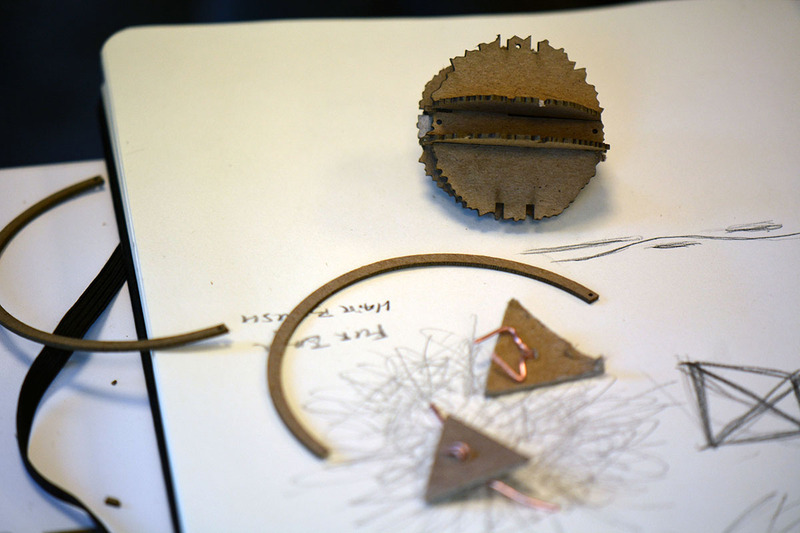 In this segment, the students will embed electronics into their systems, transforming each set of modules into a network of objects. 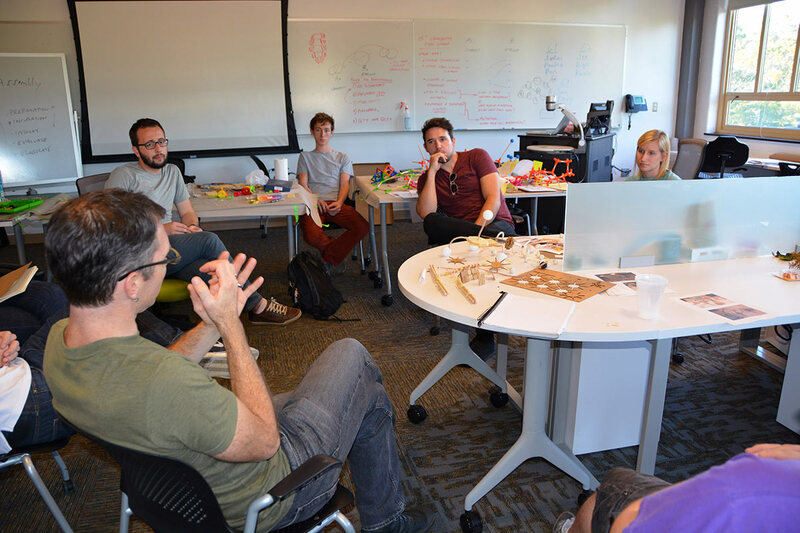 Professor Jacob Tonski will take the lead for this. 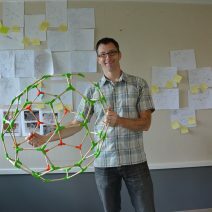 Look for Richard’s latest product design Joinks in stores this fall. 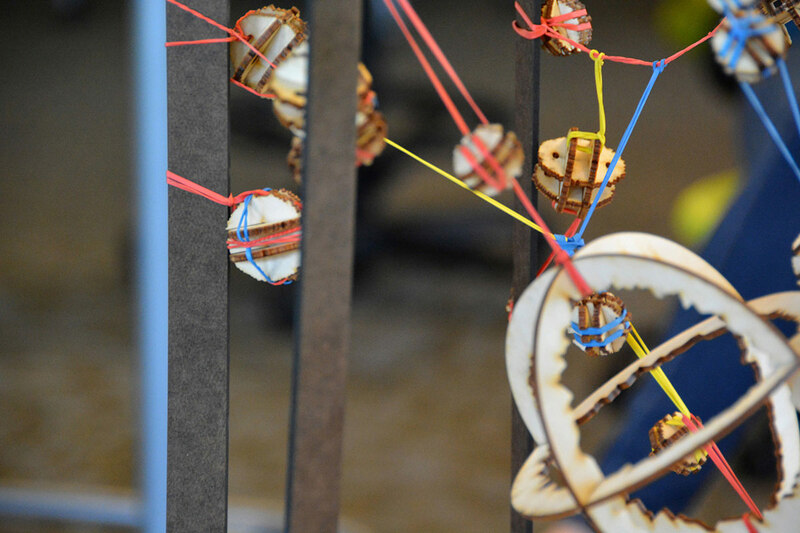 Richard Elaver is a designer and metalsmith working in the overlapping spheres of art, design, and technology. 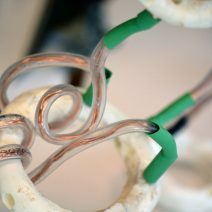 In his work, Elaver integrates the tools of industrial design with the craft of metalsmithing. 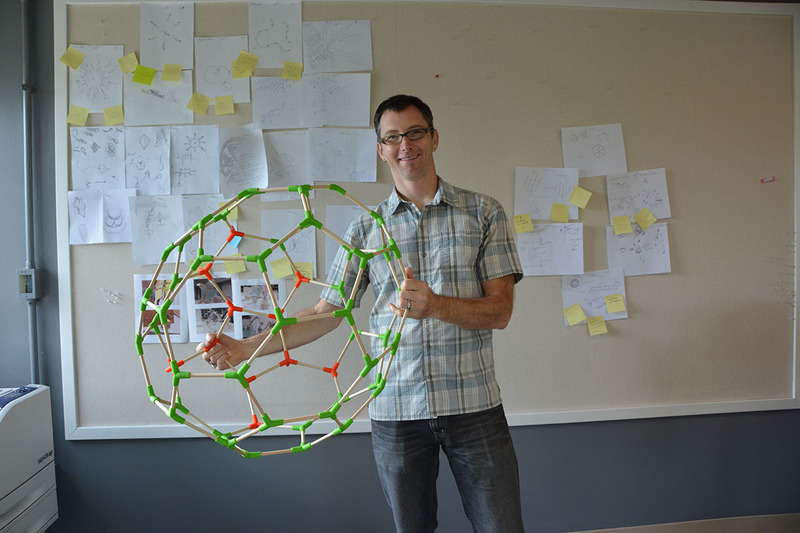 He develops computer simulations of biological phenomena, and uses them to create design objects. 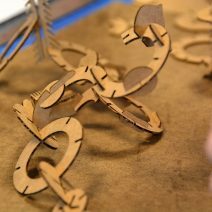 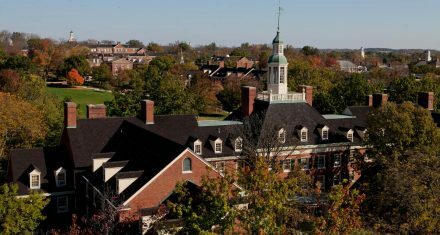 Elaver received his Bachelors degree from the University of Wisconsin at Madison, and his MFA from the Cranbrook Academy of Art. 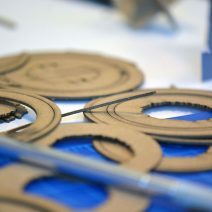 In 2006, he completed a Fulbright Fellowship in the Netherlands where he worked with Droog Design. 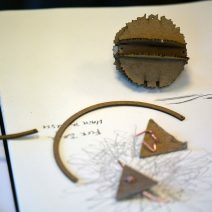 Following several years of professional experience both as a jeweler and industrial designer, he is now an Assistant Professor of Industrial Design at Appalachian State University in Boone, North Carolina.